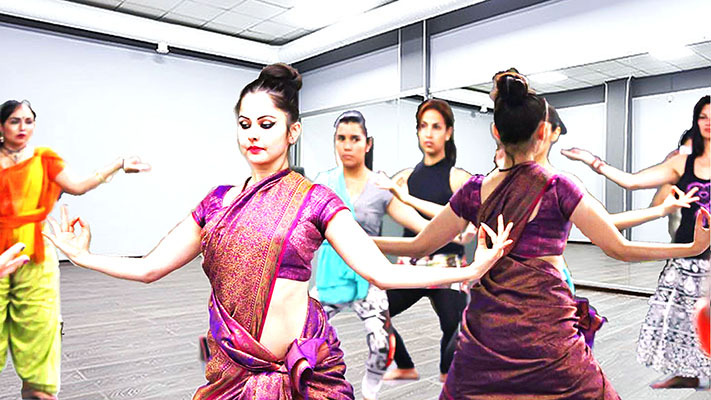 This session will provide a history of Indian Dance. Students will then have the opportunity to learn basic footwork and receive performance training. This session will provide a background to Indian story telling. Students will then have the opportunity to learn hand movements and receive performance training. This session will focus on intensive performance training. Chuaka is a basic odissi stance where the weight of the body is distributed equally on both the sides. Chauka literally means square, which represents the first completely stable structure like a table or chair with four legs is stable. Stability cannot be attained with one, two or three legs – hence the name. It represents Lord Jagannath Krishna in Odiya folklore as he brings stability to the universe. The word tri-bhanga means three breaks. 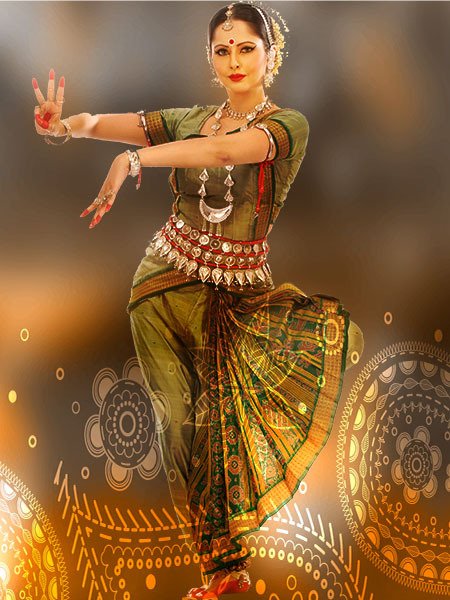 The tribhanga is one of the most typical poses of Odissi dancing and what sets it apart from other classical dances of India. The body is divided into three parts making it graceful and sensuous. Tribhanga module has five exercises. Mudras are hand gestures which create various symbolic shapes with the hands and fingers. These are actually used as means of communication of thoughts, ideas and emotions as well as for various embellishments. 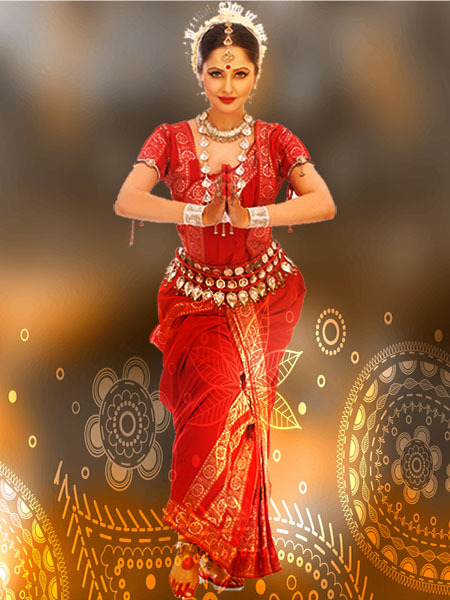 This is the final piece where we bring all the leaning of stability of the Chauka, the graceful movements of Tribhanga and the communication of the Mudras together to make a prayer of auspiciousness – the Mangalacharanam. It is an invocation and can be made to God (in any form).